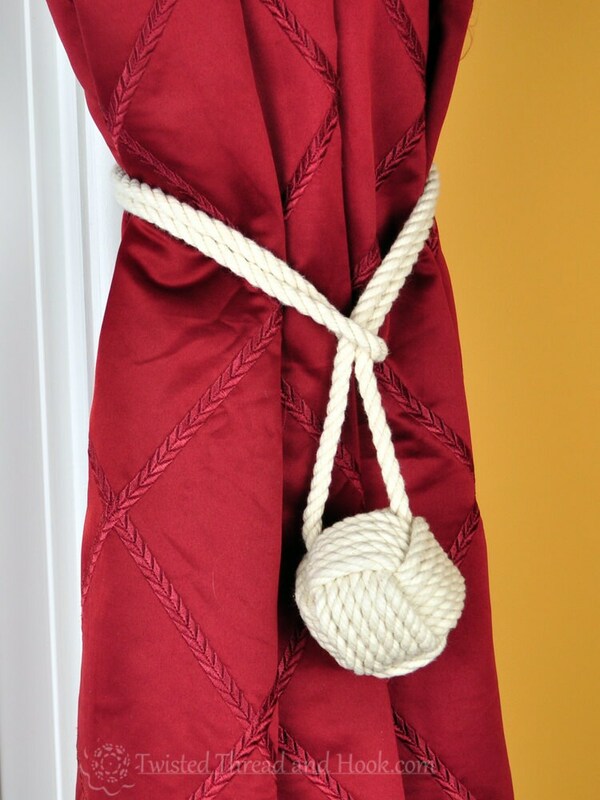 This 3in monkey fist tieback is quite large and looks wonderful on a heavy duty or thick curtain. It gives a great nautical feel to any room. It's made with a cotton rope, knotted tightly by hand. No hardware is required to use the tieback. The rope goes around the curtain and the knot goes through the loop to secure it. This is not a full-proof method since different fabrics behave differently, but here's one way I found would work best for most. 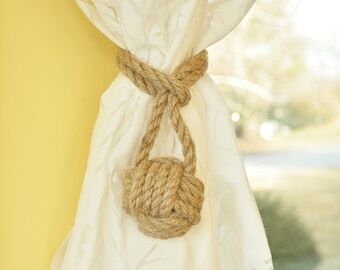 Take a thicker string or even a belt and wrap around the curtain the way you would if they were tiebacks. Mark the point were two ends of the string meet. Take it off and then measure the string between the marked points. Add 2 in to this measurement or more (depending on how much you want the knot to hang beyond the loop). Please, note that the knot itself has a large wooden ball inside and has some weight to it. NEED DIFFERENT SIZE or COLOR? Check my monkey fist items here. If you can't find what you're looking for, let me know. It will take up to 1 week to make your item and get it ready for shipping. All packages are shipped with tracking information available.